The South China tiger is also known as Chinese tiger and Xiamen tiger and is one of the most endangered animals in the world and the most vulnerable of all Tigers. In fact, this subspecies is already extinct in the wild, and only a few specimens are still alive in captivity. It was first described in 1905 by zoologist Max Hilzheimer, describing its similarities with the Bengal tiger but showing a smaller size. 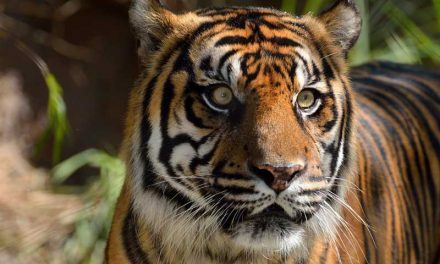 Although the South China tiger is one of the smallest subspecies of tiger in the world, it is larger than the Sumatran tiger, so in strict terms, it is the smallest subspecies of continental Asia. It has a yellowish fur with narrower and longer stripes than those of the Bengal tiger. It has sexual dimorphism, so the males are bigger than the females: the former measure between 91 and 104 inches in length, and weigh 287 to 386 pounds and the females measure 87-94 inches, and weigh from 243 to 254 kilos. Also, the male skull has larger dimensions than the female one. The distribution of this subspecies does not exist anymore because for some years there has not been a single sighting confirmed in the wild. 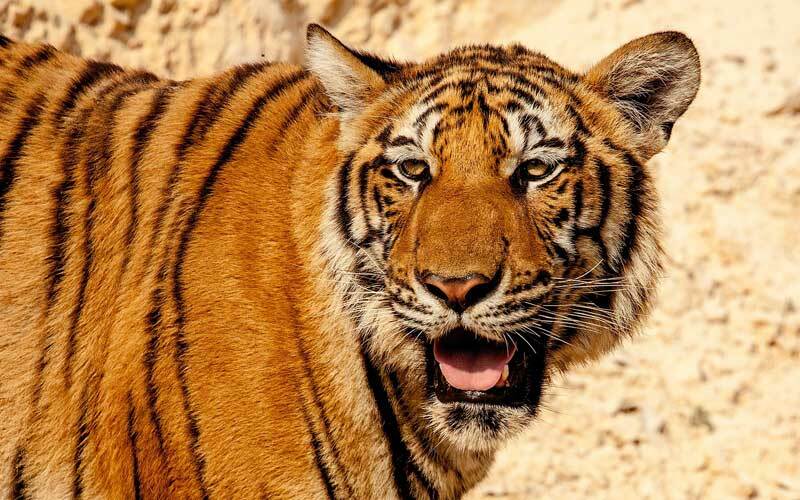 Historically, the South China tiger inhabited a vast region of this country of almost 1,250 miles from East to West and 950 miles from north to south. At the beginning of the 20th century it dwelled in central, eastern and southern China and Hong Kong, but by the 1990s there were sightings only in 11 reserves in the mountainous areas of Fujian, Hunan, and Guangdong. At present, it is believed to be extinct in the wild, although there have been some indications and unconfirmed reports of possible specimens in the areas of Hubei, Yihuang, and Qizimei Nature Reserve. In the wild, the South China tiger lived in wet forests with dense vegetation and enough water and prey, naturally. South China tiger can consume from 18 to 40 kilograms in a single meal. Panthera tigris amoyensis is, like all other subspecies, a carnivorous animal with a diet where predominate the ungulates (animals with hooves) typical of the region of southern China. It consumes the following species: wild boars, muntjacs, Indian hog deer, gray langurs, wild pigs, porcupines, hares, tufted deer, sambar deer, serows, and even Indian peafowls. However, the small species are only a small part of their usual diet. It is known to have attacked domestic cattle and humans as a consequence of the invasion of their natural habitat. It can consume from 18 to 40 kilograms in a single meal, after attacking its prey very stealthily usually from behind or the side. Except for the mating season, the South China tiger prefers to be alone than in the company of its peers. However, the territories of the males may overlap. Mating occurs at any time of the year. Individuals reach sexual maturity between 3 and six years of age. A pregnant female has a gestation period of about 103 days, after which the mother delivers a litter of up to 7 cubs, although the standard amount is 2 or 3 only. Mothers breastfeed Cubs for the first eight months of their life, but when they are two months old, they start trying solid foods and leave the den. Between 18 months and three years of age, they are ready to hunt for themselves and be independent. This subspecies is Critically Endangered in the Red List of the International Union for the Conservation of Nature (IUCN), but for more than 25 years there has not been an official sighting in the wild. 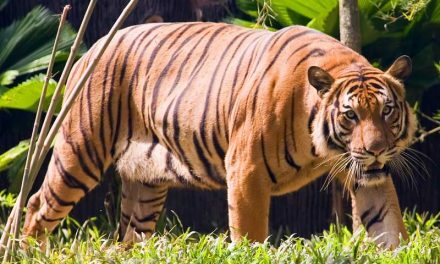 From this perspective, the South China tiger can be considered a functionally extinct animal, since it is very unlikely that its presence in the wild, if any, can produce genetically diverse offspring to regenerate the subspecies. The last confirmed sighting happened in Hong Kong in 1947. This subspecies is Critically Endangered in the Red List of the International Union for the Conservation of Nature (IUCN). What brought these tigers to such a condition? Poaching to trade their skin and other body parts, scarcity of prey, degradation, and fragmentation of their habitat, conversion of land for agriculture or commercial farming (loss of habitat), and negative image with people have been some of the circumstances that took this subspecies to the brink of extinction. In 2005 the 57 specimens in captivity showed signs of inbreeding; This means a reduced genetic diversity which translates into a low rate of successful reproduction. Two years later the captive population rose to 72 individuals. Imagine, the total population in the wild in the 1950s was over 4,000 tigers of this subspecies alone! To attack the problem, the Chinese State Forestry Administration supports two parallel programs aimed at restoring the population to their natural habitat. 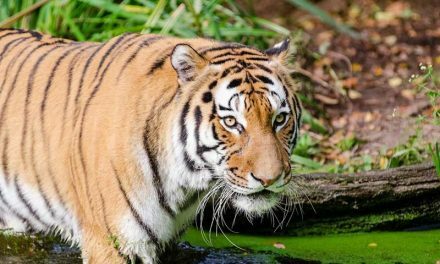 The first is developed in collaboration with the non-governmental organization Save China’s Tigers, while the second is realized with the cooperation of the South China Tiger Advisory Office. Natural reserves have also been established to support the recovery of wild populations. The last South China Tigers were moved to other areas of captivity to help them restore their population. So far such efforts have been successful with many cubs born in the last five years that are thriving. However, this animal is still on the top 10 list of endangered animals, so that tells you just how much hard work is ahead if they are going to survive. The number of them began to dwindle in the early 1950’s due to people viewing tigers as a pest. They were killed for their pelts as well as for the bones to make traditional medicine in China. 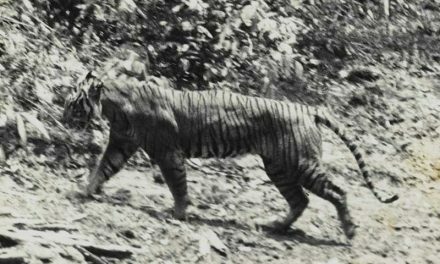 Even though hunting on these tigers was banned in China in 1977 the drastic drop in their numbers by then was already a huge threat to their survival. There are 11 reserves in China today where the last South China Tigers reside. A few of them are now in zoos in other parts of the world as I mentioned before. However, the government of China and conservationists want to keep them in their native area. They are also doing their best to profile genetic materials so that they can be sure to breed the right Tigers with others that aren’t so closely related.